Core Wellness Centre is hosting an educational event on Diabetes prevention and treatment on April 18th. Mark your calendar to join Dr. Kris Dorken on April 18th for the “Diabetes Solutions” workshop, located at 538 St. Clair Ave W from 6:30pm to 7:30pm. Learn how to actively combat diabetes. Dr. Dorken will teach you how to balance your blood sugar, speed healing, increase energy, decrease prescription use and decrease your risk of diabetes. To RSVP for this limited-seating workshop, please call (416) 479-8311. Today, more than 9 million Canadians live with diabetes or pre-diabetes and approximately 10% of people with diabetes have type 1 diabetes. The number of people with type 2 diabetes is increasing dramatically due to a number of factors such as an aging population, obesity and a sedentary lifestyle. The personal costs of diabetes may include a reduced quality of life and the increased likelihood of complications and the financial burden of diabetes and its complications is astronomic. 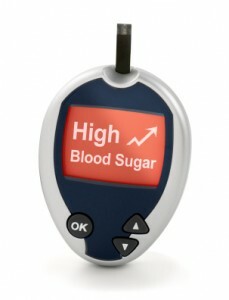 People with diabetes incur medical costs that are two to three times higher than those without diabetes. By 2020, it’s estimated that diabetes will cost the Canadian healthcare system $16.9 billion a year. Core Wellness Centre is dedicated to bringing real health solutions to the community. Learn all the resources and tools you will need for total wellness. Call (416) 479-8311 to learn more about our events and our total wellness program.